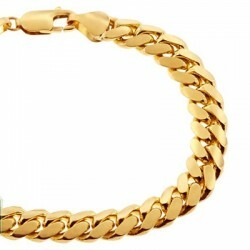 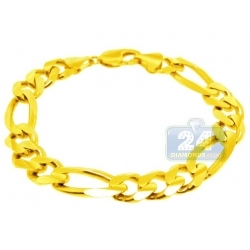 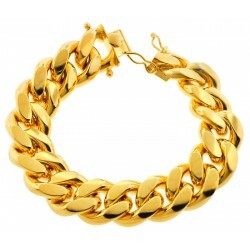 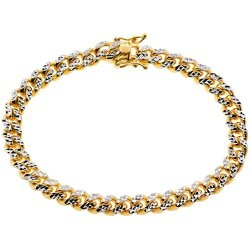 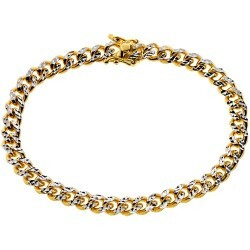 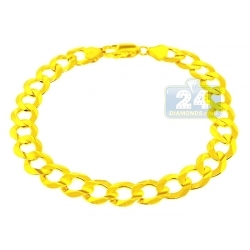 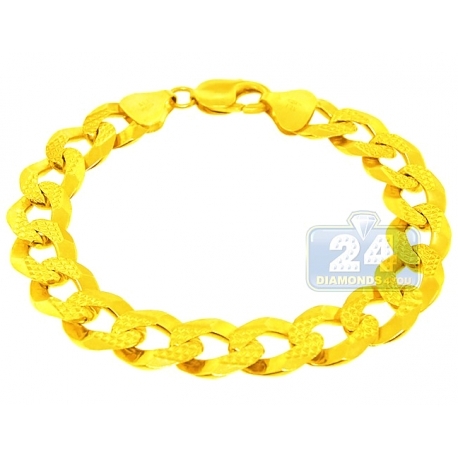 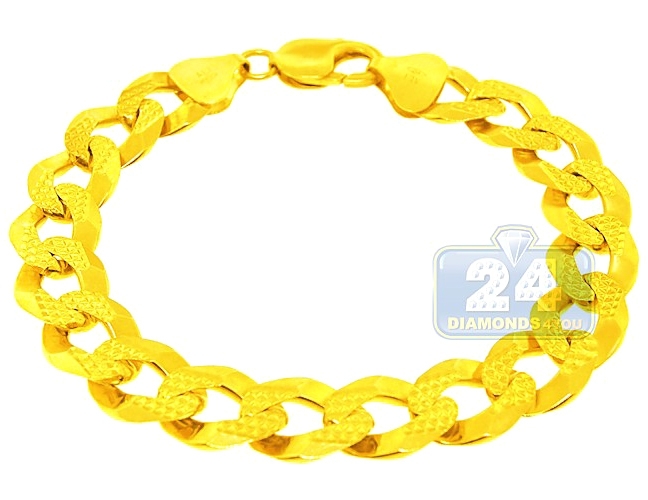 10K Yellow Gold Diamond Cut Cuban Link Mens Bracelet 14 mm 9.5"
This cuban link bracelet is perfect for everyday or special occasions! 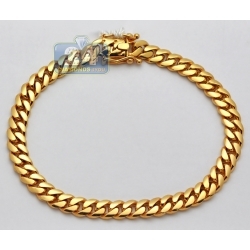 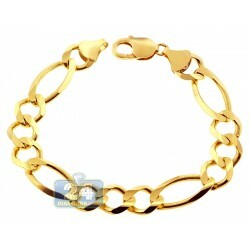 It's ably created from solid 10 karat yellow gold, and highly polished for smooth touch. 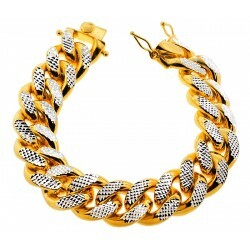 There're diamond-cut patterns that add even more shimmering. 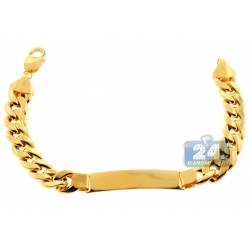 Our men's gold bracelet measures 9.5 inches in length, 14 mm in width and 36 grams in weight; secured by comfortable lobster claw. 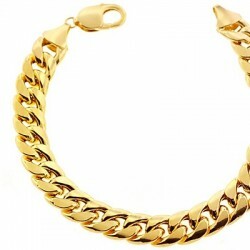 A fabulous piece for sophisticated men!